Soto Named School Board Superstar! 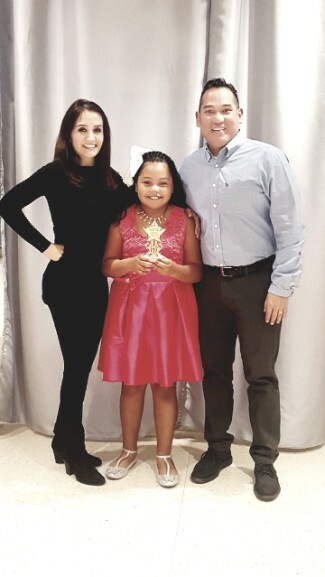 Valeria Soto, a third-grade student at Alice Ponder Elementary, was recently named a School Board Superstar at MISD's December board meeting. Students are chosen based on their outstanding character, citizenship, fairness, honesty, kindness, respect, responsibility, and trustworthiness. Valeria certainly exemplifies all of these qualities. All of her teachers agree that she is an outstanding student. All of us at Ponder are proud of Valeria for her achievement. Pictured below is Valeria (center) with Esmeralda Menchaca, Valeria's former teacher, and Chris Menchaca, Valeria's current teacher.